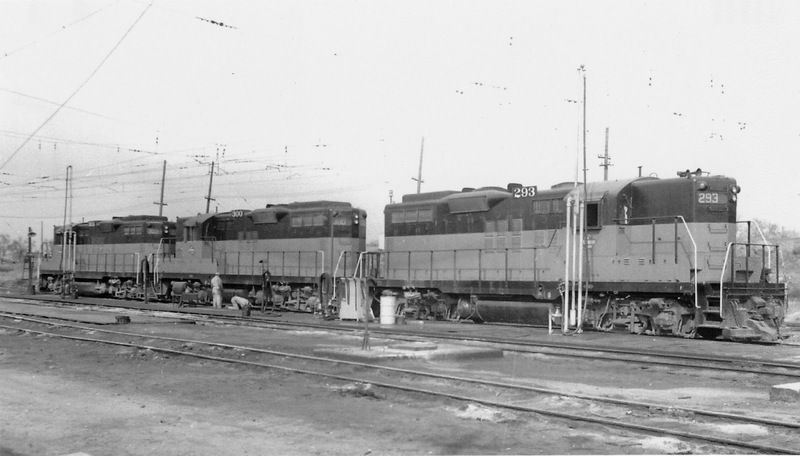 Three GP9s are getting inspected at Othello in 1973. At this time, the catenary for electric locomotives was largely in place, though only diesels were being used. For a time, the overhead wire was still live to deter wire theft.